Located on this page are some of the most Frequently Asked Questions that we receive on a daily basis about Generators. We hope that you find your answers here! If not, please contact us. Will the generator back-feed into the house or power lines when it is running or transferring? No. The generator transfer switches are designed so that it is physically impossible for back-feeding to occur. The switches utilize a three contact system with a switching mechanism eliminating all possibility of back-feeding. The entire system is UL Listed. Can these units be used for medical back-up? These generators are intended for use in back up situations. Due to some of the specific needs of certain medical equipment (dialysis machines, breathing machines, etc.) the generators do not fall into the category of a medically rated generator. What is the difference between air cooled and liquid cooled generators? The air cooled generators employs forced air moving over an engine to cool it via fan where as a liquid cooled generator is employs an automotive style engine with an enclosed radiator system. Why should I buy a home standby generator instead of a portable generator? While portable generators are effective in terms of backup power, a home standby generator produces a higher quality of electricity, operates automatically and exercises weekly to ensure proper response to your needs. There are no extension cords to plug in, no gasoline to retrieve or fill, and will protect your home or business while you’re away. How large of a concrete slab do I need for a liquid-cooled unit? The slab needs to extend a minimum of 6” beyond the base of the generator and must be a minimum of 4” thick. It may need to be thicker depending on local code. What is the required water column for installation? Air-cooled generators require natural gas pressure of 5” - 7” of water column (0.18 to 0.25 psi) or LP gas pressure of 11”-14” of water column (0.4 to 0.5). Liquid-cooled generators require natural gas pressure of 5” - 14” of water column (0.18 to 0.5 psi) or LP gas pressure of 11”-14” of water column (0.4 to 0.5). Some models may vary see spec. sheet for specific requirements. Can the load center switches be mounted outside? A load center switches that is NEMA 1 rated must be installed indoors. Load center switches are available in a NEMA 3R enclosure. This means that the switch can be mounted indoors or outdoors. Can the flexible fuel line that is included with the generator be bent or angled? No, it must be straight. Its purpose is to accommodate for any settling or vibration of the generator. If it is bent at all, the line is constricted and fuel flow is inhibited. Will my fuel bill increase from the generator exercising? The increase in cost will be minimal. The generator will only be running for about 20 minutes a week. How much fuel do the generators use during normal operation? At exercise? The generator fuel consumption is given in each of the product knowledge books and is also in each of the owners manuals. The fuel consumption is given at 25, 50, 75 and 100% load ratings. Use the full load consumption rate for proper pipe sizing. Is it okay to build an enclosure around my portable generator? Yes, as long as the generator is taken out of the enclosure prior to operating it. Access to cooling air is vital to the proper operation of the engine. Portable generators do not have large cooling fans and are unable to circulate air in confined spaces. They rely on the natural circulation of heat resulting when the hot air rises away from the engine and is replaced by cool air. Can I open my main disconnect breakers and connect my generator to a receptacle? No. In concept this may seem like a good idea, but is not advisable for the following reasons: The national electric code and most city, state, and county ordinances require approved means of isolating generator power from utility power. These requirements are designed to protect the lives of both you and the utility workers and to protect your equipment. The main disconnect breakers are not designed to isolate power from two sources. Typically these breakers are rated for 240 volts. If the generator and utility are out of phase, the voltage differences between these sources can reach 480 volts. The main disconnect breakers can fail without visible indication. The breaker may feel like it is open but may be electrically connected internally due to a spring or other failure. This can go unnoticed until utility power returns. When both sources of power are available it is possible to connect both sources together. Accidentally operating the wrong breaker can have severe consequences. Approved means of isolation usually require 3 position switches or breakers that prevent connecting both sources of power. A manual transfer switch is a panel wired into the house electrical distribution system that allows a generator to be used to supply power. It prevents the generator from back feeding the utility and reduces the potential for lineman injury. Why is an emergency generator system so important for my business? Your business and its operations depend heavily on a steady supply of electricity. Thus every power outage puts your company and equipment at risk! During an emergency, we will provide you with a reliable power solution that will help you endure power outages or utility breakdowns, regardless of the duration. Utility reliability: As the strain on the power grid increases and power quality and reliability suffer, utilities are increasingly turning to engine generators in order to satisfy their customers’ essential power needs. Severe weather outages: Lightning, hurricanes and ice storms cause outages lasting many hours or even days, longer than the typical battery standby system will support. Environmental concerns: In environments requiring air conditioning, generators eliminate the concern of thermal shutdown during a loss of utility power. Extended protection: Eight hour backup requirements demand sizable, expensive battery plants with life spans in the outside plant (OSP) as short as 2 - 4 years. Can I run the generator inside my home or garage? No. The engine has toxic exhaust fumes that will build up and be fatal, in any habited area. Also, gasoline fuel and oil is highly flammable and could cause fire and explosion in housed environments. Always operate generator in well ventilated, open and non-habited areas. Do I need to ground my generator? Yes. A portable generator has it's neutral, grounded to generator frame, ending at a ground lug. A stake should be driven into earth ground, with a #6 gauge wire from stake to ground lug of generator. This generator is now ready for use as a portable source of power, not meant for connecting to a building that has utility power. A standby generator, when connected to a building having utility power, should have it's neutral brought to the neutral connection of utility distribution panel, and not grounded to the generator frame. 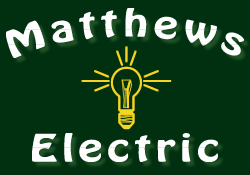 Always consult a licensed electrician when installing a standby generator to your home or business. What is the difference between portable and automatic standby generator systems? The differences really have to do with the steps needed to have emergency power flowing into your house in the event of a power outage. Portable systems are wheeled units that require you to roll the generator outside, start it up, and hook it up to a power inlet box. From there you must go to the transfer switch panel installed near your circuit breakers and switch the power coming into your house from the main line to the generator running outside. One of the clear advantages with an Automatic Standby Generator System is that the unit turns itself on and off automatically without you ever having to leave the safety of your home. Our automatic Standby Generator Systems also exercise themselves once a week. You can even set the time when the unit will perform this diagnostics check. The generator will then be ready to run whenever needed. You can be on vacation and not worry about having a power outage while you are away. What’s the difference between running and starting watts? The running watts of a generator equals the amount of power the unit can produce continuously, while the starting wattage is the additional power that the generator can produce for short rental periods of time to start items in your home that require larger amounts of electricity for initial start-up than when they are running. Running watts are the continuous watts needed to keep items running. Starting watts, are extra watts needed for two or three seconds to start motor-driven products like a refrigerator or AC unit. What does Automatic Voltage Regulation (AVR) do for me? AVR maintains steady voltage. This is important for running sensitive electronics such as computers, microwaves and televisions. Can I run a computer or other sensitive electronic equipment off the generator during a power outage? Yes, the power coming from your generator is just as safe as what you normally have coming out of the wall socket. The spikes or surges that accompany power generation (also known as "harmonic distortion") are just a normal aspect of electricity. However, when considering sensitive or expensive electronic equipment running off a wall outlet, you should use a good surge protector to guard against small influxes in power. You should always consider all of your options when it comes to alternate sources of electricity. Generators are equipped with an electronic governors as well as mechanical governors. Both will monitor the output of power, it is best to refer to the manufacturers manual to determine what is best for you. Most generators are equipped with some means of voltage regulation. What is included with the generator? It is important to find out what does and does not come with the generator you are purchasing e.g. Transfer switch, composite pad (if not, cement slab may need to be poured, which may require a building permit being pulled), battery, engine oil, antifreeze, and dealer startup to validate warranty, etc. Will there be any other costs that I might incur? Please call our offices with any questions that you may have about service, trouble shooting and yearly preventative maintenance. Power requirements must be determined to properly size your generator. We are providing some steps to assist you in approximating the size generator for your power needs. Please keep in mind that unless you are qualified, you should use a certified generator dealer to determine your power needs. Determine your need . Do you want the generator to operate part or all of your home, office, or business? Identify the appliances and/or tools the generator will need to power. Determine the wattage for each appliance and tool you plan to use frequently. The "Common Wattage Guide" below will help you determine your need. Total the wattage for appliances and tools you frequently use. Identify motor and pump requirements . Use the motor and pump charts provided below. Calculate and total the wattage for the motors and pumps frequently used . Always use starting watts, not running watts, when determining the correct electrical load requirements. Total the wattage of the appliances & tools and the motors & pumps. Keep in mind that if you coordinate your power usage wisely you do not have to operate everything all at once. Therefore, for emergency use you don't necessarily need to size the generator to operate everything simultaneously. Convert watts into kilowatts by dividing the watts in step VI. To determine the generator size required . Please note that it is suggested, although not absolutely necessary, to size the generator 20-25% over the size you determine your needs to be. This will allow room for future growth. For example, if you determine that you will need a 15 kW generator then it is advisable to purchase an 18 kW generator to accommodate future expansion. What if I am not home and the power goes out—Is there anything I need to do? No, the automatic standby generator will go and do its thing normally within ten seconds, you need to do absolutely nothing. Standby generators are fully automatic power sources that provide emergency backup power during utility power failure. We offer a wide range of standby generator models. Our smallest model generates 6/7 kilowatts (kW) of power, and our largest can generate 2 meg! The units that we sell run on either natural gas or liquid propane, or diesel. They have industrial strength alternators and are capable of running 24 hours a day, 7 days a week. The power solutions that we use are reliable, efficient and worry-free. Permanent standby generators typically connect into homes through an automatic transfer switch, or ATS. When the power goes out, the ATS will sense the loss of power and automatically disconnect the main utility lines leading into your home. It does this so that when power is restored, you won't have to worry about electricity from your generator damaging your home or feeding back into the main utility lines. Within 10 seconds , the generator will assume that the power outage is permanent and it will fully activate and provide power to whatever circuits or appliances it is hooked into. Yes, standby generators are very safe when properly installed and maintained. The modern standby generators that we sell are built for safety and reliability. Here are a few things to remember: Keep the area around the standby generator clear· Don't let children play near or tamper with the generator or its enclosure· If you smell gas, immediately close the gas valve shut-off at the generator itself and call the installer that did the plumbing installation on your generator. How loud are standby generators? How much outdoor space do I need for the generator? Make sure you have adequate safe space outdoors to run the generator. In order to provide proper ventilation, depending on the generator selected, the clear space requirements can vary from 18 inches up to 8 feet in distance on all sides of the generator - check your generator manual for specifics. What should I consider when choosing a generator? What is the process I will have to go through to get a generator installed and ready for back-up? Site Survey by New England Generator. Dealer startup to validate warranty. Propane tanks are usually rated by pounds. Is there a conversion that can be applied to the fuel consumption numbers? Yes. For general conversion, propane weighs 4.24 pounds per gallon. 1 lb. = 8.58 cu. ft.. 1 gallon = 36.39 cu. ft..
Parts may be obtained by calling New England Generator or submit a request through our Contact Us Page. What is the expected life of the engine? A properly maintained engine should provide over 20 years of operation under emergency standby conditions. Keep in mind that the units are not intended to provide continuous power (24 hours a day, 365 days a year). How much fuel does a Residential Emergency Home Standby generator use? Figures are fuel consumption values at 50% (full) load. It is unlikely that the generator would run at full load for an extended period of time. Therefore, your consumption would decrease accordingly. How long does it take to install a Residential Emergency Home Standby generator? A typical home standby air cooled generator installation will take about one day to complete. Liquid cooled models would take longer to complete. If a concrete pad is necessary it would add a day or two for the concrete to dry. The length of time is based on a typical application. It does not apply to applications that require extended runs of wiring or gas piping.